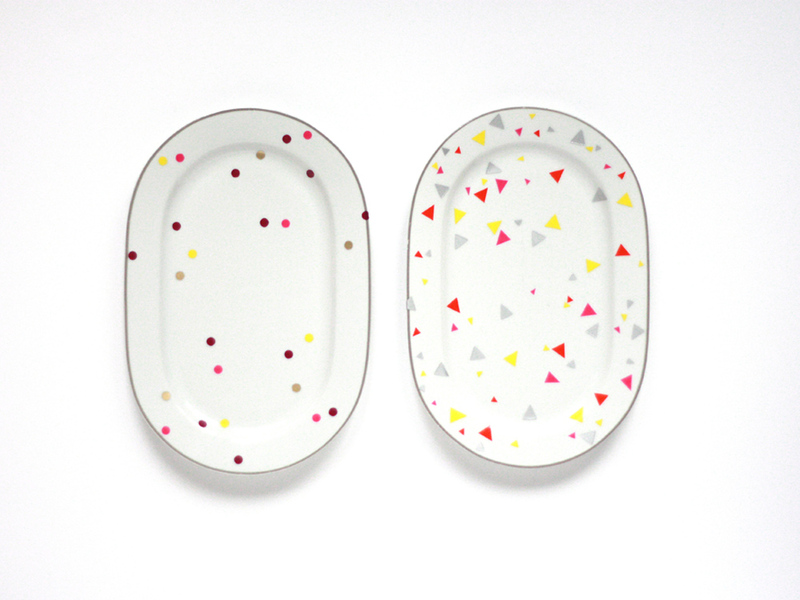 These plates will add some fun to every party table or make a great gift. 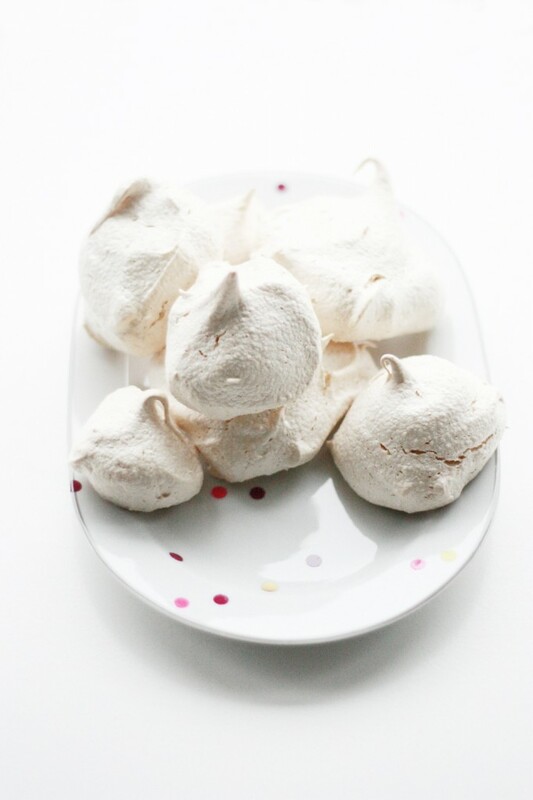 Just add some homemade merengue and your set. 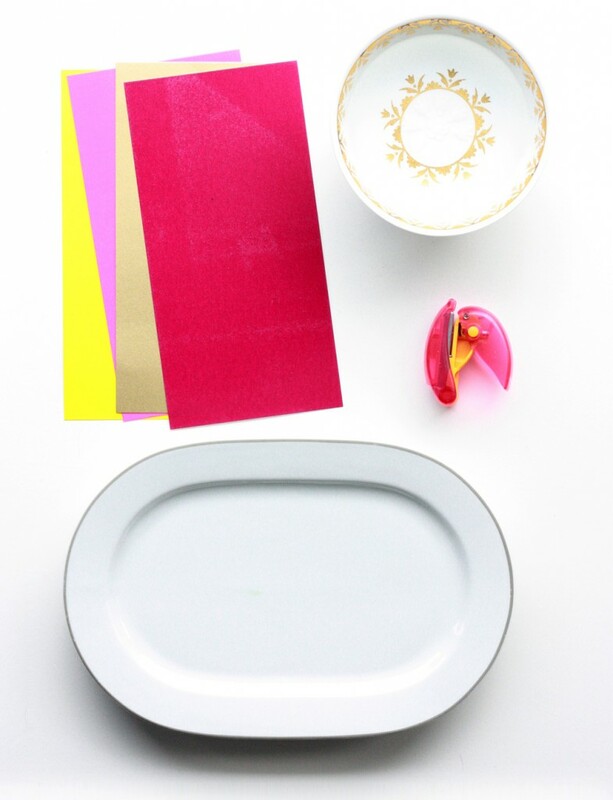 Step 1 – Prep the plates Choose the plates you want to decorate. The ones I used are from our local thrift shop. 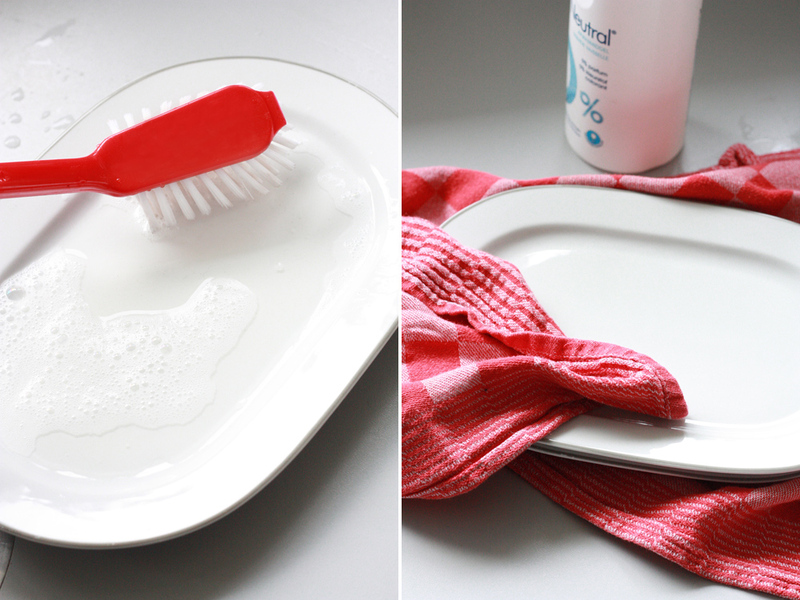 Wash and dry the plates. Step 2 – Cut your pattern Cut out the desired motif with scissors, scalpel or punch. 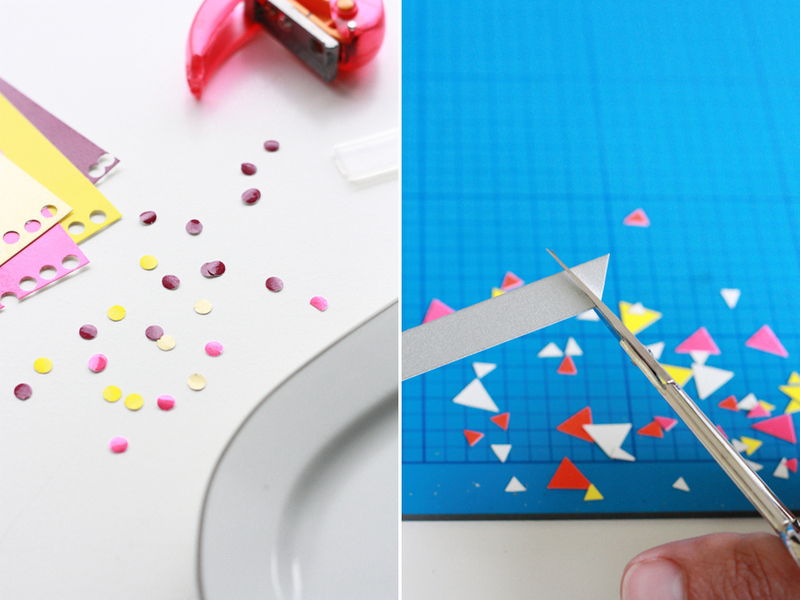 I used a hole punch for dots and a scalpel and scissors for triangles in different sizes. Step 3 – Decorate your plate This is the fun part. Put the punched/cut pieces in the bowl with water for a bit. 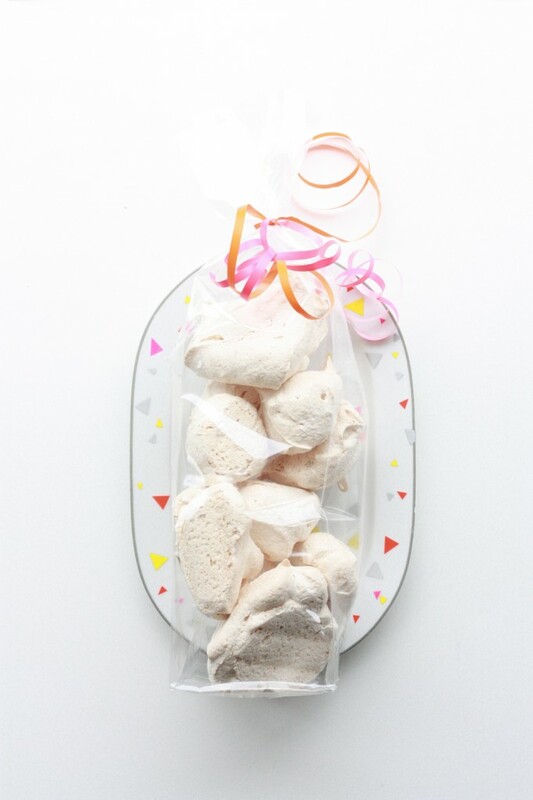 Slide the decor foil from the backing paper onto the plate and smoothen with fingers from the centre toe the edges. Remove any moisture with a paper kitchen towel. 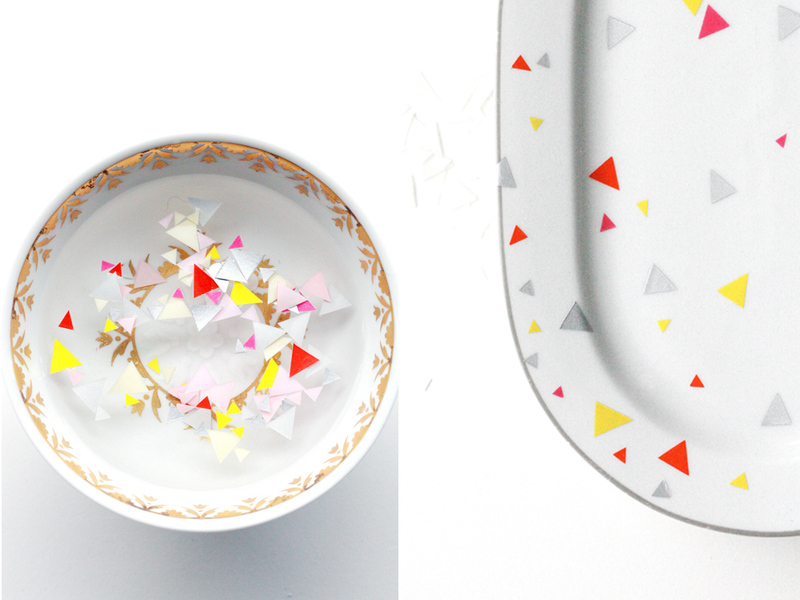 Place as many dots/triangles on the plate as you like. 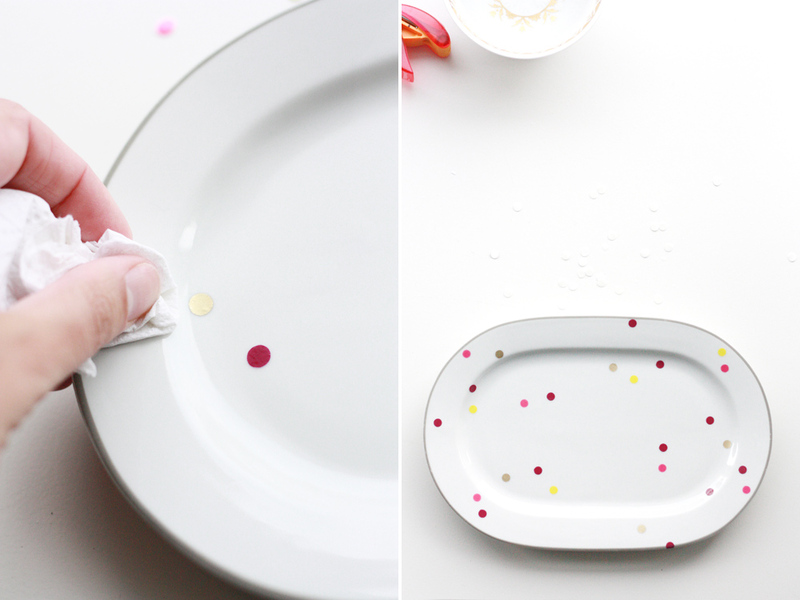 To get a playful effect; don’t forget to go over the edges, or drop a dot or triangle on the back of your plate. Step 4 – dry & bake The foil I used had to dry for 24 hours at room temperature and harden the next day in the oven at 180 °C for 30 minutes.